Many of us have seen through the temptations of a 3D television and have instead opted for smart TVs. These boast a variety of fantastic features—but do you know what to do with a smart TV? A considerable audience likely bought one so they could watch their favorite streaming services. 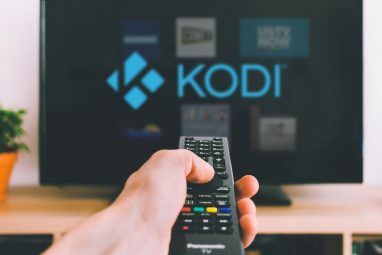 However, solely using your smart TV to watch Netflix The Best Netflix-Ready Smart TVs The Best Netflix-Ready Smart TVs Looking for the best Netflix-ready smart TV? We rounded up the best smart televisions that run Netflix without fuss. For as little as $135 to as much as $1,100. Read More , Hulu, and the like means you’re ignoring all of the other great options available. And all you need to do is visit your television’s App Store. Note: There are too many different app stores for us to link to every single one, so we’ll leave it to you to search your TV’s app store for the apps mentioned below. Numerous channels offer catch-up services that allow you to see shows from the past seven days. You can install these onto your smart TV. If you want to see series from years gone by, however, there’s an app for that too. It’s the web browser. Alternatively, you can download the YouTube TV app How to Get More Out of the YouTube TV App How to Get More Out of the YouTube TV App The YouTube TV App is designed with smart TV viewers in mind, but with a few tips and tricks, you can squeeze even more out of it. Read More . On YouTube, you’ll find countless hours of all the best programmes from bygone eras. Relive cherished cartoons like Looney Tunes, Tom & Jerry, and The Jetsons. Watch the glory days of soap operas. Relax with a slew of classic documentaries. And you’re not restricted by region either, so you can indulge in shows from all over the world. Just make sure to add subtitles How to Add Subtitles to a Movie or TV Series How to Add Subtitles to a Movie or TV Series Unfortunately, content you download off the internet normally doesn't come with subtitles. Thankfully, it's easy enough to add subtitles to a movie or TV series. Here's how... Read More . It’s important to marvel at the world around us. Even if you need something to put on in the background while you work—which slow TV is perfect for Netflix and Really Chill: A Quick Guide to Slow TV Netflix and Really Chill: A Quick Guide to Slow TV Slow TV is a strange phenomenon you may not understand, with people watching hours of footage of really boring activities. It's strange, but is it worthwhile? Let's find out... Read More —you’ll soon find that live feeds become a mesmerizing experience. It’s relaxing and fascinating, with a wide range of videos ready for you. Of course, you can use YouTube for this. But specialist services like Ustream often have a wider selection of feeds to choose from. You can also chat with fellow watchers, so there’s a nice sense of community. We’re particularly taken with the cameras focused on animals, which always provide something cute and compelling. Do you ever go outside and stare at the stars? Surely everyone does. Sometimes, though, you want a different perspective (especially if the starscape is drowned out by light pollution). When you think of what to do with a smart TV, you probably don’t think about astronomy. But through either a live feed app or your web browser, you can check out the view from the International Space Station (ISS). And needless to say, it’s incredible. To see the surface of the Earth, suspended in darkness, is to appreciate the fragility of the planet, and how small our place on it is. If your interests extend beyond our own solar system, you should check out your TV’s respective app store. You’re sure to find something amazing—like Constellations, which includes details on the Zodiac, or AstroImage, which displays HD images of far-off galaxies. These are especially useful if you’re trying to instil more wonder into the lives of children. Launched in 2008, Spotify is the biggest music streaming service out there, which is why our ultimate guide to Spotify Spotify Music Streaming: The Unofficial Guide Spotify Music Streaming: The Unofficial Guide Spotify is the biggest music streaming service around. 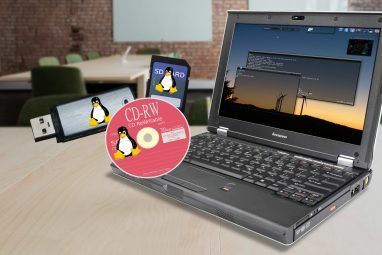 If you're not sure how to use it, this guide will walk you through the service, as well as offer some crucial top tips. Read More is so useful. There are two versions of Spotify available: Free and Premium. The former is propped up by advertisements, while the latter will cost $10/month. Listening to tunes on your smartphone is good, but listening via your smart TV is better. All you need to do is download the app. Spotify has hidden gems as well. Check out the “Word” section, which includes playlists of short stories, radio dramas, and famous speeches. You can learn a new language, enjoy complete audiobooks, and/or expand your mind with TED Talks. A solid speaker system is a must—but these best-value soundbars for excellent sound quality The Best Soundbars for Audiophiles on a Budget The Best Soundbars for Audiophiles on a Budget Soundbars can cost a fortune. But you can get a high-quality soundbar for a little over $100. Read More also fit the bill. Try it once and you’ll be hooked. It’s probably been a while since you switched on the music channels. Songs have become so easily accessible that you simply don’t need to flick on MTV and its ilk to find the latest tracks. But you don’t always know what to listen to. You might just want to find something new to enjoy. Maybe your new favorite artist is around the corner. That’s why you should tune into the radio. You don’t need a service like Sky or a device like a Chromecast to do so. Individual stations often have their own apps ready for you to download. If not, we recommend TuneIn. This lets you listen to stations from over 200 territories. Filter by location, language, or genre, so if you love classical music or hip-hop, it’ll only show you the appropriate channels. Similarly, this makes your ongoing search for podcasts How to Find Random New Podcasts Based on Length of Episodes How to Find Random New Podcasts Based on Length of Episodes If you have a chunk of time and want to listen to a random podcast that fits that amount of time, this is the perfect way to do it. Read More much simpler. Most users aren’t content solely with getting news from the radio. They like proper live channels, headed by an array of anchors. 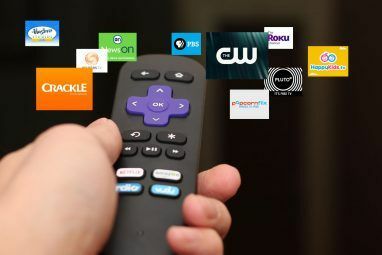 Most major channels have apps, notably BBC News, CNN, and Al Jazeera—and when you’re looking for something to do with your smart TV, this is a great option. Or if you like to get your news from non-traditional sources How to Get Your Recommended Daily Dose of News via Social Media How to Get Your Recommended Daily Dose of News via Social Media What if we only got news from social media? What would we miss? How effective is relying on retweets and such to spread the word? And which feeds are best for the all-important headlines? Read More , some smart TVs offer support for social media. As if having Facebook and Twitter on PCs, tablets, and smartphones isn’t enough, you can now scroll through your feeds on bigger screens. The latter depends on the make of your TV. Samsung, for example, removed the Twitter app in 2016, but you can still check out Facebook on Samsung smart TVs. Maybe you’re looking for something more active to do. Let’s face it, games consoles are too expensive these days—and however fantastic the Nintendo Switch is, $60 for a single game seems a little extortionate. It should already be evident that you need to get onto the app store; here, you’ll also find games that are completely free. Okay, there’s no guarantee that all the games will be ready to play with no charge. But most will be. No matter your vintage, there’s something for you. While away the hours with classic titles like Tetris, Snake, and Tic Tac Toe; or with newer releases like Lunar Lander, Duck Shooter, or the ever-popular Angry Birds Angry Birds Is Still Flying High! Your Guide to Every Game Angry Birds Is Still Flying High! Your Guide to Every Game The Angry Birds series holds some of the most popular mobile games of all time. But it holds more games than you think! Here's a guide to every Angry Birds game ever released. Read More . You can start thinking of your smart TV in a similar way to your smartphone. The app stores really expand a television’s capabilities far beyond its traditional use. So why not explore what your smart TV can do? We think you’ll be pleasantly surprised. There’s a chance you’re here because you haven’t invested in a smart TV yet. 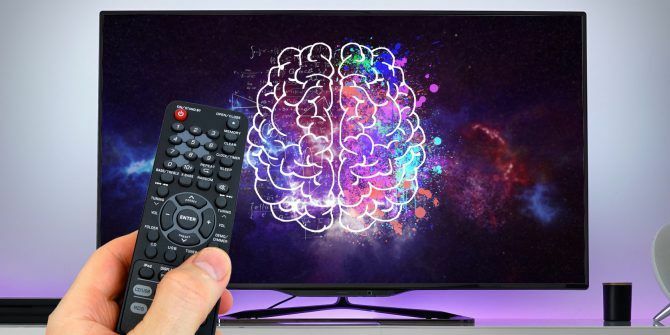 Rest assured, they have a lot going for them, and by turning your HDTV into a smart TV How to Get a Smart TV for Cheap With an HDTV How to Get a Smart TV for Cheap With an HDTV It's better to stick with a regular HDTV, and turn it into a smart TV with specialized gadgets. Here are the best options to accomplish that. Read More , you don’t need to spend a fortune either. Explore more about: Smart TV, Television.